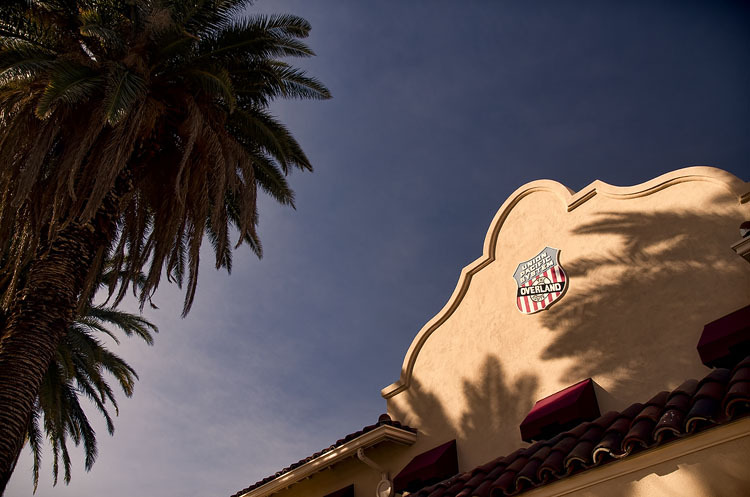 The small town of Kelso started off as a depot for the Los Angeles and Salt Lake Railroad, and boomed briefly when iron and borax mines opened nearby in the 1940s. The mines closed a decade later and the steady decrease in freight and passenger traffic led to the closure of the depot in 1986. Kelso is now a ghost town. In the 1970s Kelso became known as the town without television. About 75 residents lived in Kelso at that time, many with school age children. Because Television signals couldn't reach the remote town, residents had to find other methods of recreation. Adults sat outside and talked while children played outside until dark. Unfortunately the advent of satellite TV eventually brought TV to Kelso. The main point of interest in Kelso is the Kelso depot. 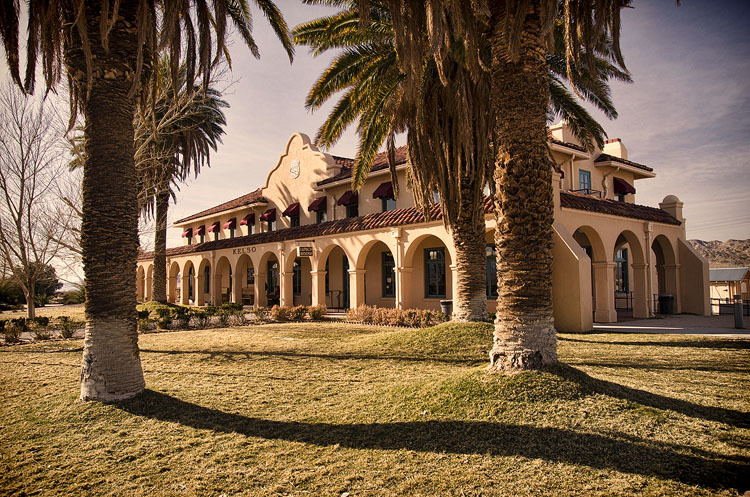 Built in 1923 in the Mission revival style, it has now been restored and serves as the Mojave National Preserve Visitors Center and restaurant. 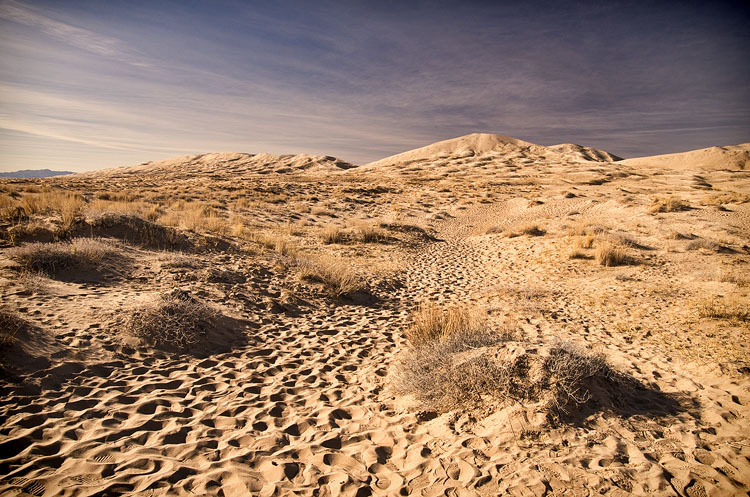 These dunes are notable for the singing sand or "booming dunes" phenomenon, where a shifting top layer of sand produces a low-frequency rumble that be both heard and felt. Visitors can climb to the top of the dunes and slide down to experience it. We didn't have time to do that, but here's a video that explains how it works. The dunes are also home to a number of endemic insect species. My girlfriend is entomophobic, so it's lucky we didn't run into any of them! 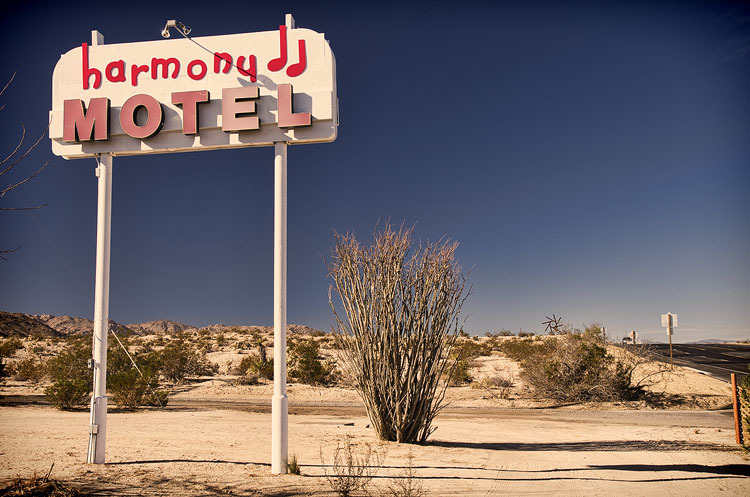 The Harmony Motel, located in Twenty-nine palms on the edge of the Joshua Tree national park, gained some fame when U2 stopped here to shoot promotional pictures for an album they were working on. 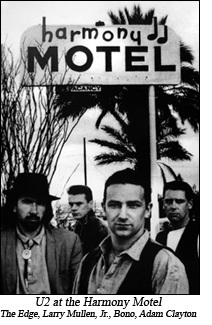 The picture of the band in front of the motel sign is still used in their live performances. 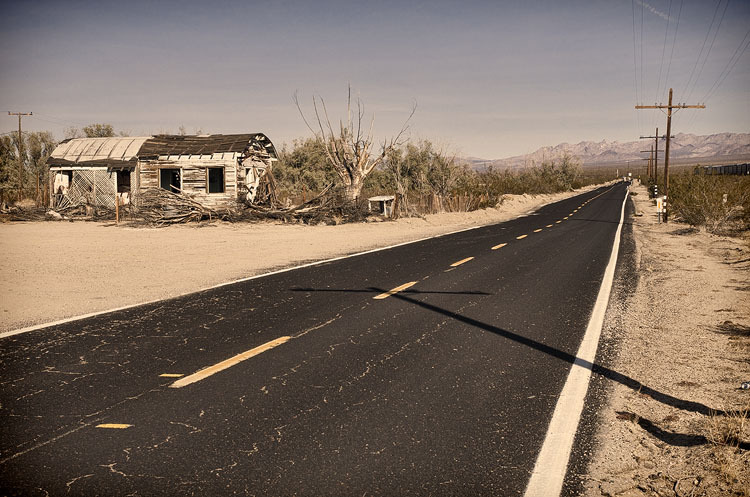 The films Crazy Beautiful and Route 666 also had scenes shot here. While staying here was a completely different experience to the luxury hotels of Vegas, I think I'd take star-filled skies over neon billboards everytime. 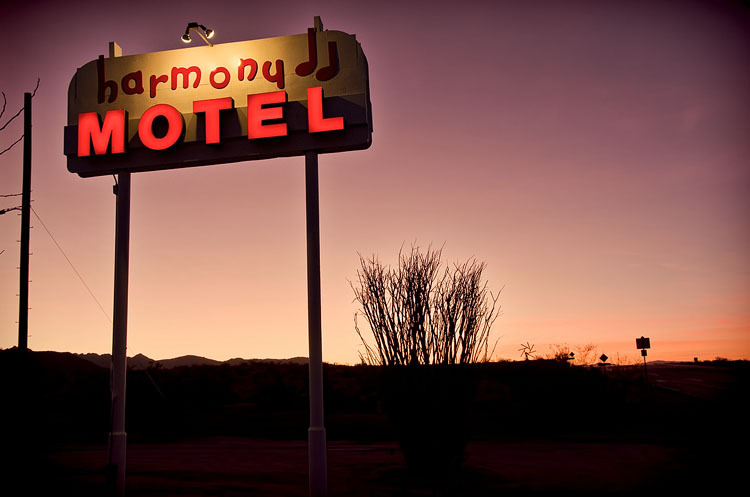 The famous Harmony Hotel sign at sunset. With all the light pollution in Japan, one thing I really wanted to try in America was astro-photography. Along with an SLR and a tripod, this discipline also generally calls for a car and a lot of patience. As I didn't have either of those I made do with this shot of the desert sculpture behind the motel. 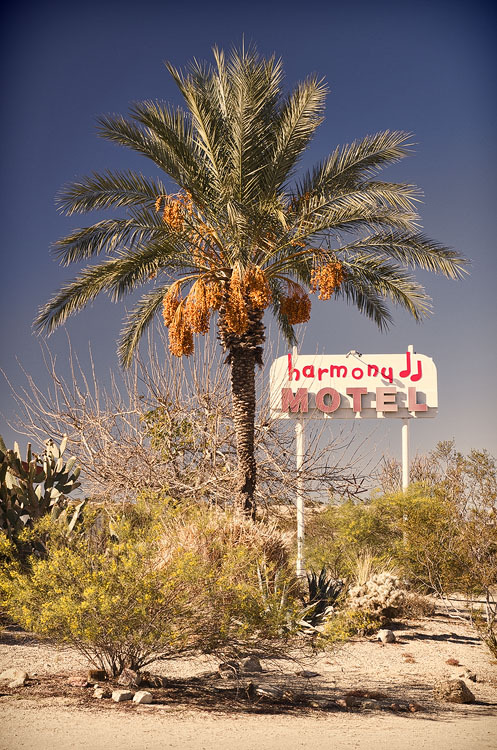 Posting three photos of a motel sign might be a bit much, but I thought it was pretty cool. 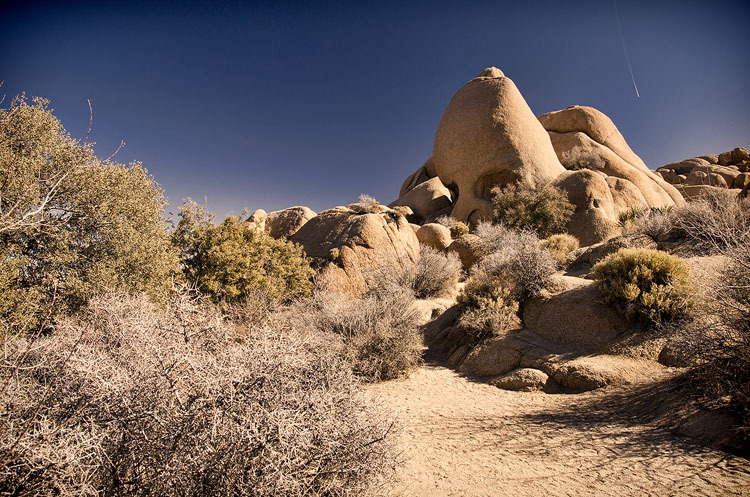 This park, which was declared a U.S. National Park in 1994, straddles the Colorado and Mojave deserts (pronounced "mo-hah-vee"). 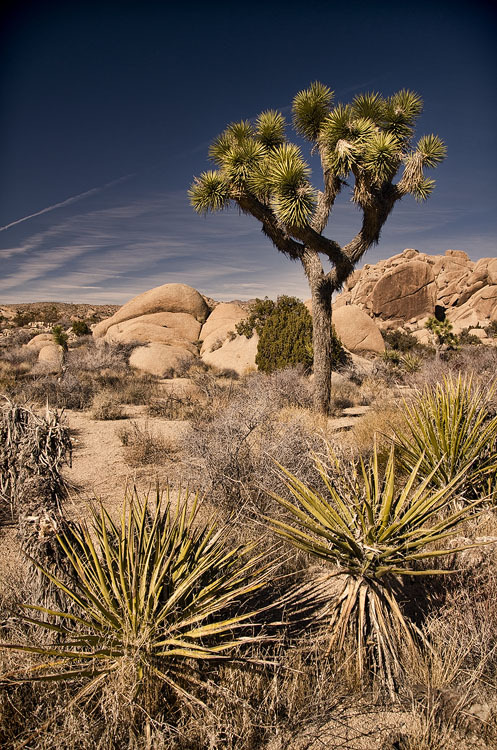 The Mojave area is higher and home to the eponymous Joshua trees. 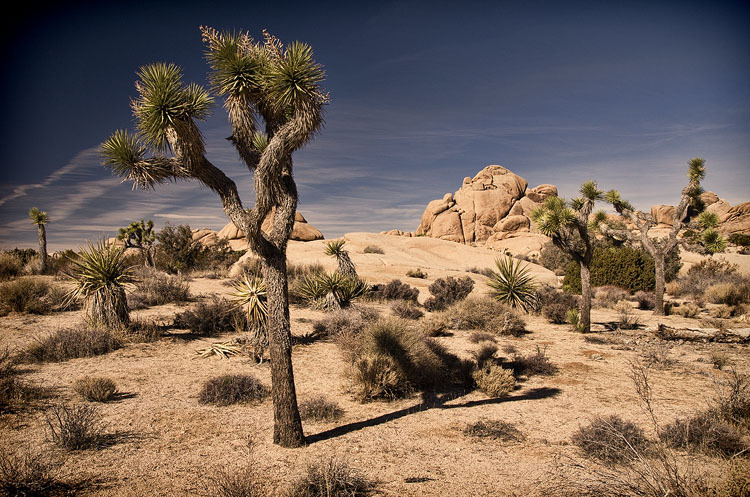 When you see the Joshua tree, you're in the Mojave desert. The name is actually a misnomer - it isn't really a tree, but a species of yucca. A hardy dessert plant, they grow at a leisurely pace of about 3cm a year with the tallest specimens reaching around 15 metres in height. 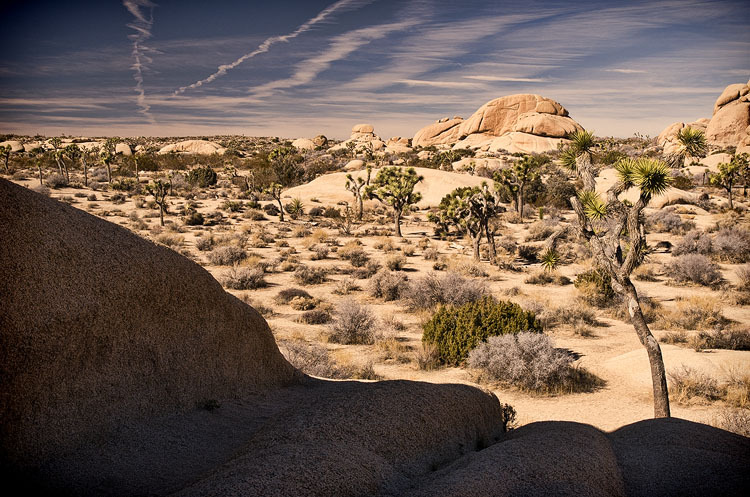 Some Joshua trees are thought to live as long as a thousand years, but because they lack growth rings it's difficult to tell. Skull Rock - can you see the skull? According to Mormon legend, early settlers named the plant after the Old Testament prophet Joshua, as the tree's stretching branches reminded them of Joshua holding out his spear. 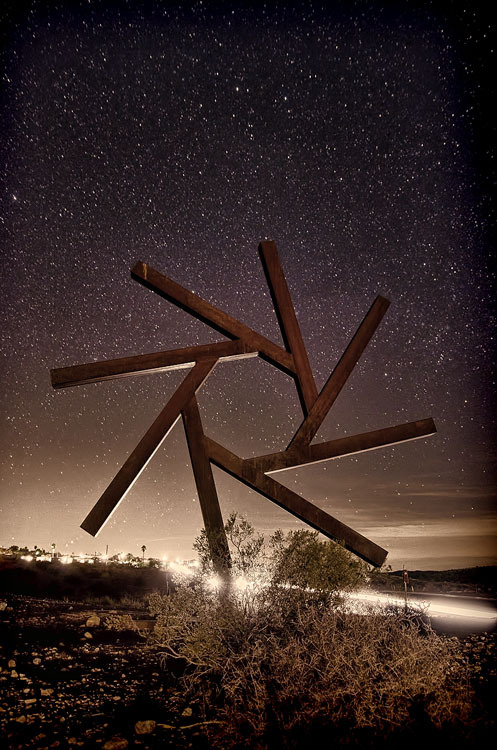 U2's Bono, upon learning about the plant and the religious significance of its etymology from photographer Anton Corbijn, decided that the album they were working on would be titled "The Joshua Tree". 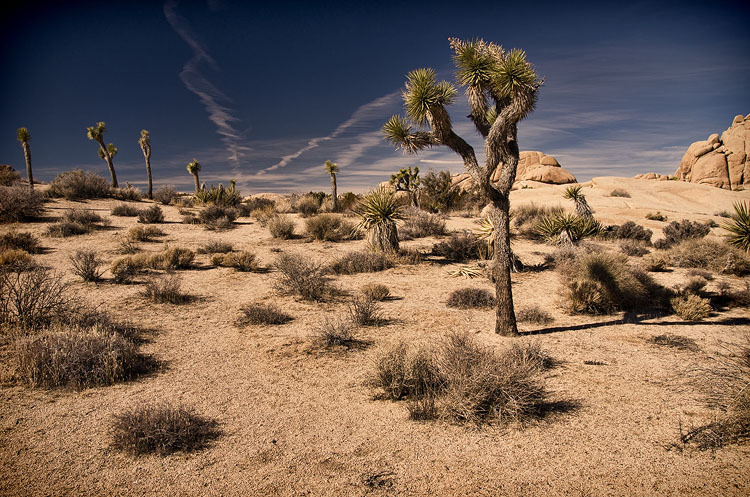 Joshua trees really are peculiar looking plants, with their twisted alien forms and furry looking trunks. They are usually found in groups and coupled with the barren desert landscape can create an otherworldly scene. 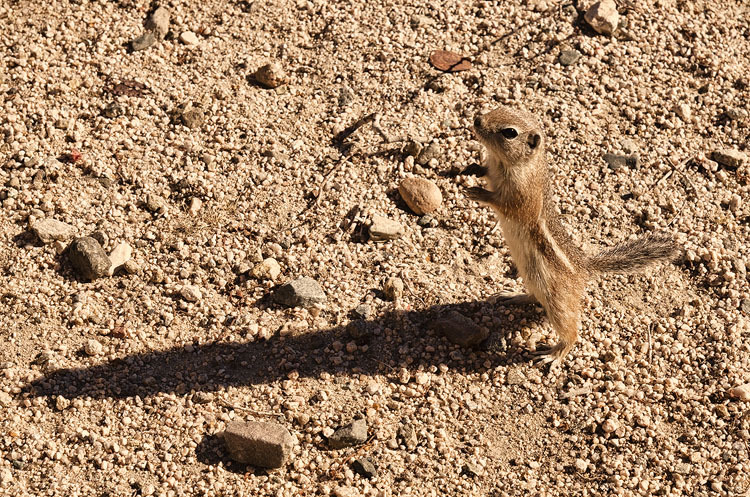 Antelope ground squirrel, able to resist Hyperthermia and survive body temperatures over 40°C.